We are proud of the levels of customer satisfaction we enjoy at Hampshire Kitchens. The following case studies illustrate some of the projects we have successfully designed and installed across the county. If you are considering a new kitchen project, take a look at these real life stories, which provide a host of imaginative design and style pointers and genuine customer testimonials. 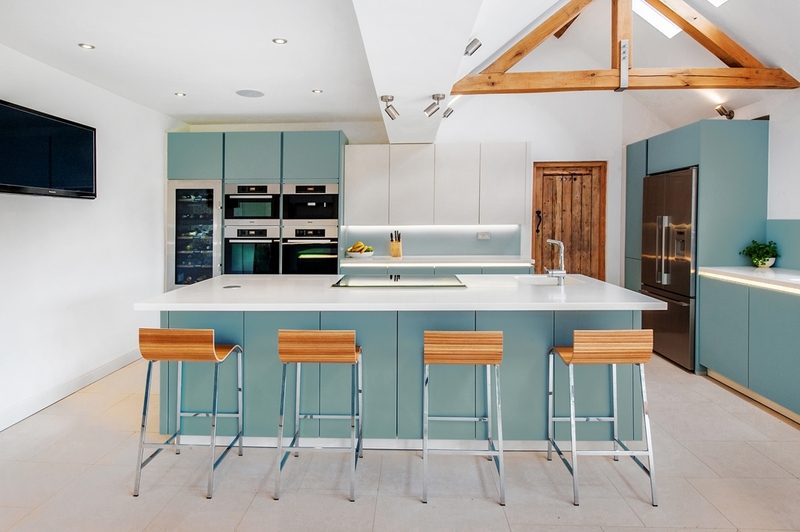 Click on the links below to see some of Hampshire Kitchens’ most inspiring designs and read the stories behind them. Having decided that our kitchen needed replacing we investigated a number of kitchen companies and decided that Jerry from Hampshire Kitchens suited us best. We had a number of meetings with Jerry to finalise the design, both at our house and the showroom in Alton. We were impressed with the suitability of the design layout that Jerry produced and the quality of the units that we had decided to go for. It took us a long time to decide on the precise specification of our kitchen and Jerry was very patient and understanding with regard to the design and appliance changes that we kept making. Jerry arranged all the trades involved and they all visited us to refine the cost estimates. The installation itself took place in October (2016) and it all went pretty smoothly and ran very much to the agreed cost and schedule as well. During the installation Jerry made regular site visits and was helpful in dealing with a couple of minor issues. We have used Hampshire Kitchens for years. You can tell that my wife and I rate Jerry and his company, as we have had a kitchen, utility and a small kitchen in a home office, when we lived in Fleet. We have since moved and in the last year his team have fitted a stunning black glass kitchen, matching utility and a wood style kitchen in a cottage for us. I have no hesitation in recommending Hampshire Kitchens. 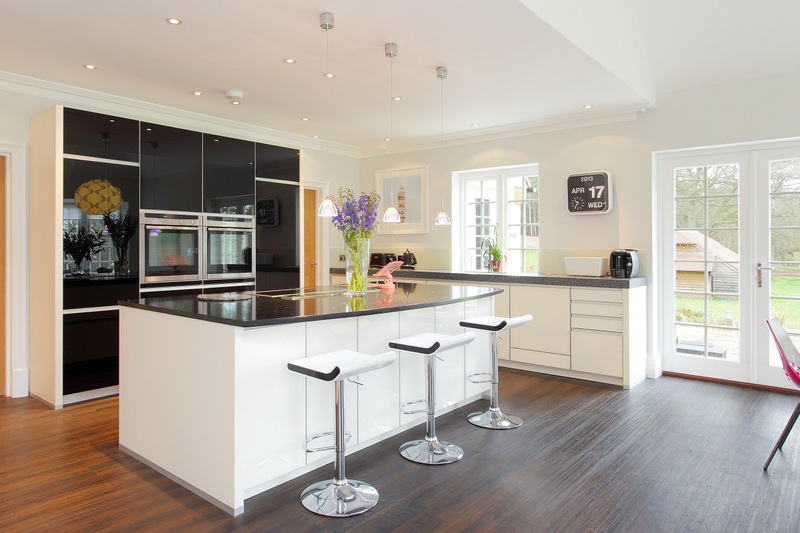 After many years working with architects abroad, I was relieved to discover a thoroughly professional and dedicated kitchen supply company in Alton – Hampshire Kitchens. They supplied a no-fuss, very high standard service, with the trades involved working immaculately. We now have an efficient and beautiful kitchen installed in what was a very difficult 18th Century listed building. We are delighted with our new kitchen from Hampshire Kitchens. Jerry was thoroughly professional throughout, especially having left it in his capable hands while we went away! The craftsmanship was outstanding and a thoroughly good service from start to finish. We are delighted with our kitchen, designed by Jerry. As the main cook in our house, I find it works very well, We are pleased with the quality of the units and with the standard of workmanship. Having looked around at many different kitchens we are so pleased we decided on a kitchen from Jerry. His help throughout the whole process was first rate. It is rare to find someone with such an eye to detail and we would be very happy to recommend Hampshire Kitchens. We love our new kitchen so much. Thank you Jerry. Very pleased with my new kitchen from Hampshire Kitchens and would happily recommend them. Jerry’s commitment in aiming for 100% customer satisfaction was very evident. This is the second kitchen I have had installed by Hampshire Kitchens and Jerry provided an excellent service on both occasions. He is expert in maximising space and offering design solutions that you may not have thought about. He had a great range to choose from to suit my budget and I am very happy with the final result – my new kitchen is now the hub of the house. I would definitely recommend him to friends. Hampshire Kitchens were recommended to us and we are delighted with our new fitted Alno kitchen. Jerry has been very helpful, came up with design ideas we hadn’t thought of, and the whole process has run smoothly and according to plan. Jerry’s kitchen fitter worked very hard and returned immediately to sort a minor problem, impressive after care service! Right from the start, the project went well. Jerry designed, and redesigned, with no problem. The new kitchen was fitted according to plan and the disruption was minimal only 3 days without one or other appliance working. He had quoted 3 weeks from start to finish, and we had a wonderful new kitchen within the 3 weeks. It was a real joy to have his cheerful and willing contractors around. We suggest you look no further than Hampshire Kitchens in Market Street, Alton, if you are considering a new kitchen. Jerry and his team (fitter, plasterer, tiler, electrician and decorator) have left us with a delightful kitchen which is very well planned and works wonderfully. The whole process went more smoothly than anticipated with everyone turning up on time and doing excellent work. Jerry really listened to what I wanted in my new kitchen and came up with a stunning plan. The fitters were all of a high standard and it was really impressive that they turned up exactly when they said they would and finished everything on time. What could have been a fraught experience went smoothly and I have no hesitation in recommending Jerry and his team. 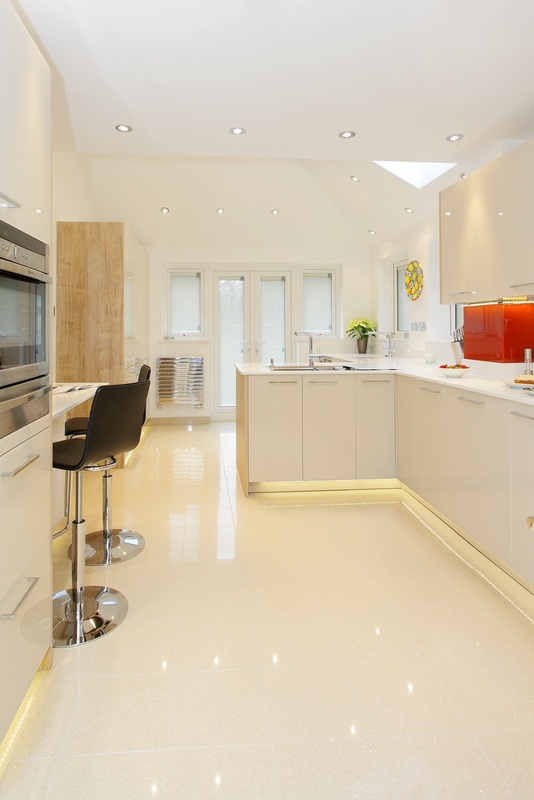 Hampshire Kitchens were superb from initial planning through installation to completion. The whole process was more pleasurable and less stressful than anticipated due to their professionalism, care and teamwork. Having originally explored the option of using a much larger organisation, we were delighted with the personal touch provided by Jerry and his team of local professionals. Most importantly we now have a kitchen which has exceeded our expectations and is a joy to work in. We recommend Hampshire Kitchens without reservation. Having decided to update our kitchen, we visited a number of local businesses to obtain advice and quotes. A big decision and a large expense with little to help choose a reliable supplier. After a few meetings, we chose Hampshire Kitchens as Jerry’s suggestions and attitude to business gave us confidence. Jerry and his team of plasterer, electricians and fitter, and the granite worktop supplier, all worked well together and produced the kitchen on time and we are very pleased with the end result. We now know that we made the right decision in choosing Hampshire Kitchens and are pleased to be able to relate our experience to others who are facing the same daunting prospect of upgrading their kitchen. Hampshire Kitchens gave a friendly, helpful and totally professional service from design stage (with plenty of advice and patience when I changed my mind many times!) to fitting. The fitter, electrician, plasterer and decorator were excellent. I have no hesitation in recommending Jerry and his team. Hampshire Kitchens, quality products. Friendly professional first rate service, what more can you need! I have no hesitation in recommending Hampshire Kitchens. From the initial planning and design stage right through to completion of the fitting we found all the staff extremely helpful and professional. We were given plenty of time to ensure that we were happy with the plans with no pressure. The quality of the product and the professionalism of the fitter was exceptional. 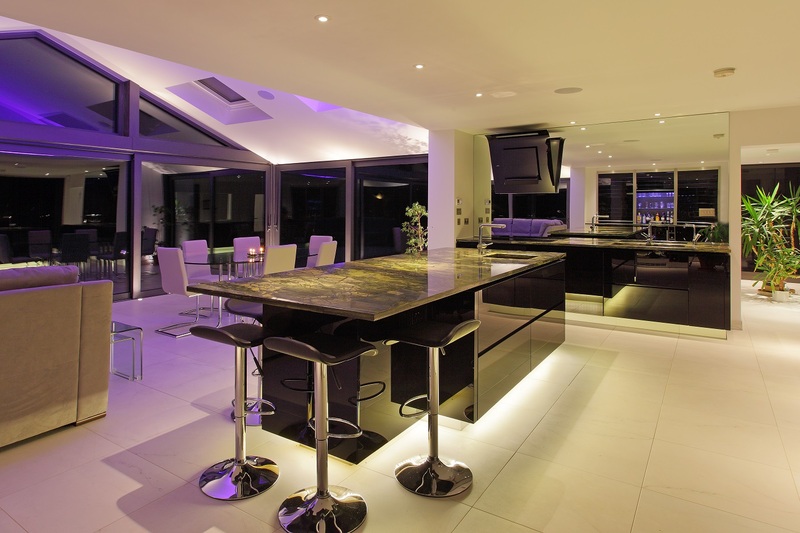 The tiler and electrician which Hampshire Kitchens nominated were also extremely efficient. The company made the whole exercise easy with no hassle. I would recommend them to anyone who is thinking of installing a new kitchen and to reassure them that Jerry and this team will do everything they can to ensure the project runs efficiently and smoothly. All you have to do is keep making the tea!